The Italian muse, Bianca Balti becomes the face of Signorina, the new fragrance from Salvatore Ferragamo. The renowned photographer Mikael Jansson in charge of capturing the image of the soft and feminine perfume in this beautiful and sophisticated campaign brings a palette of blush and dusty, in a style that is where Miss inspiration is born. The Signorina Ferragamo notable for its romance and sensuality captured in a container with a bow adorning delicate top. The aroma is floral, with notes of jasmine and rose together with intriguing sweetest drops mixed with patchouli musk. To seal the essence, with bright notes of currant pink pepper that add a unique freshness. 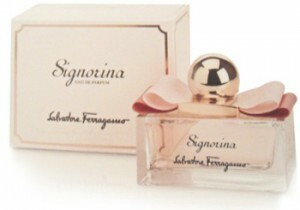 A fragrance that reveals the most intimate and feminine side of signorina.